These handy scent sticks are a great way to sample Nature’s Sunshine’s amazing Authentic Essential Oils and Bends. 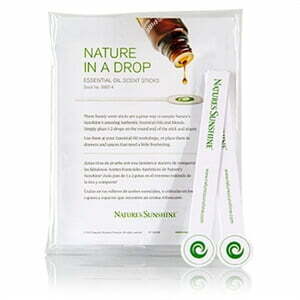 Simply place 1-2 drops on the round end of the stick and share! Use them at your Essential Oil workshops, or place them in drawers and spaces that need a little freshening.